One of Thomas Hardy's most powerful works, a tale of doomed love, passion, alienation, and melancholy as Hardy brilliantly explores that theme so familiar throughout his fiction: the diabolical role of chance in determining the course of a life. Under the Greenwood Tree is Thomas Hardy's one and only rural idyll, a startling contrast to his other Wessex tales. It appears to be pastoral romance at its most sunlit and good humoured, and called the 'most nearly flawless of Hardy's novels'. Set in the beautiful Blackmoor Vale, The Woodlanders concerns the fortunes of Giles Winterborne, whose love for the well-to-do Grace Melbury is challenged by the arrival of the dashing and dissolute doctor, Edred Fitzpiers. The first of Hardy's novels to give the name of Wessex to the landscape of south-west England, and the first to gain him widespread popularity as a novelist. The story both upholds and questions rural values with a startlingly modern sensibility. Hardy reiterates his favourite themes of man's eternal quest for perfection in love and art, and the suffering that ensues. 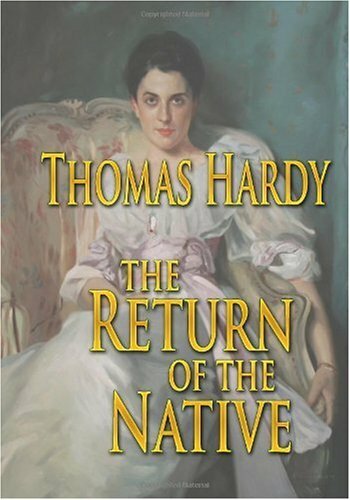 Powerful symbolism marks this romantic fantasy that Hardy has grounded firmly in reality with authentic rendering of location.